Ingrid Walter is an award-winning journalist and communications specialist whose professional experience spans television, radio, print, politics and publishing. A Sea of Wisdom, Island Proverbs, which she co-produced with Sabina Theobalds is Ingrid’s first book. In part inspired by the proverbs Ingrid’s grandmother told her as a child growing up in Jamaica, the book is also a celebration of the love she has for the natural beauty of the Caribbean, the history, culture, uncanny wit and wisdom of its peoples. 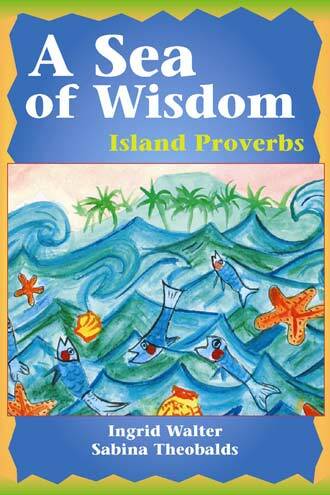 “A Sea of Wisdom, Island Proverbs, is in part, inspired by my feisty grandmother, Gogo. As a child she entertained me with old Caribbean proverbs and African inspired Anansi stories; gripping, sometimes frightening tales of a wise and mischievous spider. It is also a product of the appreciation Sabina and I have of the culture, history and beauty of the Caribbean islands. “While unveiling an intriguing mix of sage, funny and entertaining island proverbs, our book takes you on a scenic, historical and cultural journey through Jamaica, the Bahamas, St. Lucia, Antigua, Barbados, Cuba and the Turks and Caicos Islands.